A common misconception is once the thyroid condition is treated, the eyes will return to normal. The Thyroid Gland is a butterfly-shaped gland in the neck producing hormones that regulate the rate at which many body systems function as well as their rate of growth. 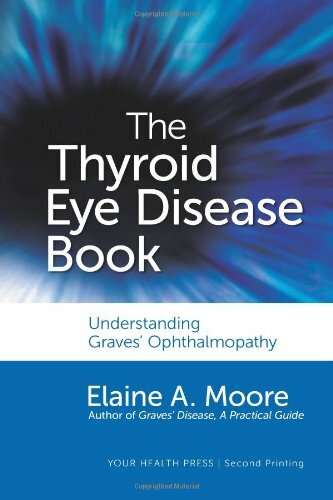 An autoimmune disorder known as Graves’ disease mistakenly triggers the immune system to attack the thyroid gland with antibodies. This will often cause the thyroid to become overactive — a condition called hyperthyroidism. Reacting to different sets of antibodies, thyroid eye disease is a similar autoimmune disorder that adversely affects the muscles and connective tissues of the eye. The associated swelling and inflammation in these muscles and connective tissues causes eye protrusion, eyelid retraction, double vision and, in rare instances, vision loss. Secondly, by determining when thyroid eye conditions are stable and whether corrective measures are necessary. Most importantly, ophthalmologists protect the eyes from rare, yet possible, sight-threatening problems associated with thyroid disease that necessitates immediate attention.